David Carradine, from Kill Bill and Kung Fu, was found dead this morning in his hotel in Bangkok. [Where he was shooting a movie..] He was hanging from a curtain rope in his closet. Police investigators say he was dead for at least 12 hours before the maid found him at 10am this morning, and he showed no signs of struggle, fighting, or assault. This is just so sad. 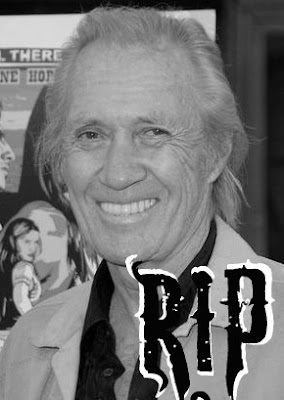 RIP David Carradine.